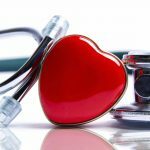 You are here: Home / Heart Disease / Heart Valve Surgery – Mechanical Vs. Bioprosthetic – Which Is Better? Heart Valve Surgery – Mechanical Vs. Bioprosthetic – Which Is Better? There are almost 100 000 heart valve replacement surgeries in the United States every year. This includes the most common which are mitral valve replacement and aortic valve replacement. In general there are 2 choices for type of surgical heart valve replacement, mechanical valves or bioprosthetic valves. When choosing the valve type its important to consider the advantages and disadvantages of mechanical and bioprosthetic heart valves. When heart valves are severely diseased the treatment is valve replacement surgery with artificial or bioprosthetic heart valves. As things stand there is no medicines that can reverse heart valve disease and so valve replacement or valve repair is required. Artificial heart valves are often known as mechanical heart valves and made from metallic alloys or plastic materials. In bioprosthetic heart valves, the valve tissue is typically from an animal species and mounted on a frame, known as a bioprosthesis. Mechanic vs. Bioprosthetic Heart Valve Replacement – Which is Best? There is a wide range of options for surgeons to choose from when it comes to heart valve replacement surgery. The most appealing part of a mechanical heart valve replacement is the fact that is typically has lifelong durability. The biggest drawback of mechanical heart valve replacement is the need for lifelong blood thinning medication (anticoagulation). Blood-thinning treatment comes with risk of bleeding complications. The most appealing part of a bioprosthetic heart valve is that it does typically require blood-thinning medication. The biggest drawback of a bioprosthetic heart valve is that it will inevitably degenerate over time and fail, therefore requiring repeat procedures in those who survive long enough to warrant it. What Are The Common Mechanical Heart Valves? The 2 most common mechanical valves used are tilting disc valves and bileaflet valves. They both require lifelong blood thinning medication and have comparable durability and outcomes. What Are The Advantages of Mechanical Heart Valves? The major advantage of a mechanical heart valve is its durability. Mechanical heart valves would be expected to last > 20-30 years whereas bioprosthetic heart valves may only last 10-15 years before degenerating. This means that patients with mechanical heart valves are less likely to need a reoperation or repeat valve procedure. What Are The Disadvantages of Mechanical Heart Valves? Mechanical heart valves also have disadvantages. The blood flow around a mechanical heart valve is at higher stress then a bioprosthetic valve that can lead to blood clotting abnormality and potentially development of clot on the valve. For this reason, patients undergoing mechanical heart valve replacement require life long blood thinning medicine. The typical medication used for this is Warfarin. Of course this required life long monitoring, possible diet modification and a higher risk of bleeding. When compared to patients undergoing bioprosthetic valve replacement, those with a mechanical valve have a several fold increase in risk of bleeding. This stands particularly true for older patient, which is why with increasing age, a bioprosthetic heart valve is more often favored. As mentioned above, those on life long blood thinning medication need to make significant lifestyle adjustment. There is the need for potentially frequent visits to healthcare facilities to have the blood thickness levels monitored. Dietary modifications may be required to maintain consistent levels of vitamin K. Patients will also need to avoid activities with more than an ordinary risk of bleeding such as contact sports. It is also important to consider existing conditions and patient factors. Even though they may be young, a woman wishing to get pregnant may necessitate a bioprosthetic valve replacement so as to avoid blood-thinning medications that may be harmful during pregnancy. Similarly, younger patients that already have issues with bleeding may opt for a bioprosthetic heart valve replacement. Some patients may already have conditions that require the use of blood thinning medication such as atrial fibrillation of a history of blood clots. In these patients it may make more sense to use a mechanical heart valve since they are already taking the blood thinning medication. What Are The Common Bioprosthetic Heart Valves? 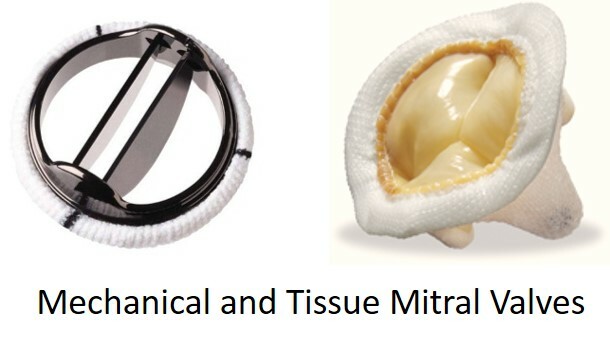 Bioprosthetic heart valves are most commonly either made of bovine (cow) or porcine (pig) tissue. Of course the main advantage of a bioprosthetic valve is that there is not typically the need for life long blood thinning medication and therefore a significantly lower risk of bleeding. What Are The Disadvantages of Bioprosthetic Heart Valves? Although the bioprosthetic heart valves have a lower risk of bleeding they don’t last as long. The tissue of the valve itself undergoes degeneration and over time the valve fails. The structural deterioration begins typically after around 5 years and by 10-15 years a significant number of patients have deterioration that interferes with acceptable valve function. At 15 years this is up to 40% of patients. Increased deterioration means an increased risk of reoperation or repeat procedure. In patients with a bioprosthetic valve, the risk of needing a reoperation is around 25%. In patients over the age of 60, a bioprosthetic valve is often used, as the expected lifespan of the patient may be less than the valve. Currently, the general recommendation regarding valve choice favors a bioprosthetic valve in those over 60-65, and a mechanical valve in those younger than 60-65 years. Medical factors may influence this decision however. Those with conditions that significantly decrease life expectancy and possibly increase bleeding such as dialysis dependent kidney disease may be better off with a bioprosthetic valve. Those with conditions such as hyperparathyroidism that may accelerate valve deterioration may be better off with a mechanical valve. Of course the risk of a heart operation and a possible reoperation itself influences the decision. Patients may also need additional procedures at the same time such as replacement of the aortic root that may influence the valve selection. The coexistent conditions that a patient may have, as mentioned above, also play an important role. When I discuss valve choices with patients I carefully go through the factors that underlie the general recommendations so that they have a decent understanding of the decision-making. The choice of valve replacement is as much a lifestyle decision as it is a medical decision. I ask the following questions and discuss the factors that may influence them. What are your thoughts on possibly needing an operation again one day vs. the risk of a bleed? What are your thoughts on lifestyle modification that ay accompany a mechanical valve replacement and blood thinner? In female patients, the potential for pregnancy and the impact of that on valve choice is discussed. In my opinion it is critical that the patient is educated on these factors and has a role in the decision making process. Is New Valve Replacement Technology Changing The Way We Think? The most striking example of this is the TAVR procedure short for transcatheter aortic valve replacement. In this procedure the aortic valve is replaced without the need for open-heart surgery, usually through the vessels of the leg. The procedure has been the biggest advance of the last several decades in valve replacement. While it was initially used for only very high-risk patients the TAVR procedure is now being used in lower and lower risk subsets of patients. The TAVR procedure can be performed as a valve in valve procedure whereby a TAVR valve is placed inside an existing bioprosthetic valve, thus avoiding the need for repeat open-heart surgery. 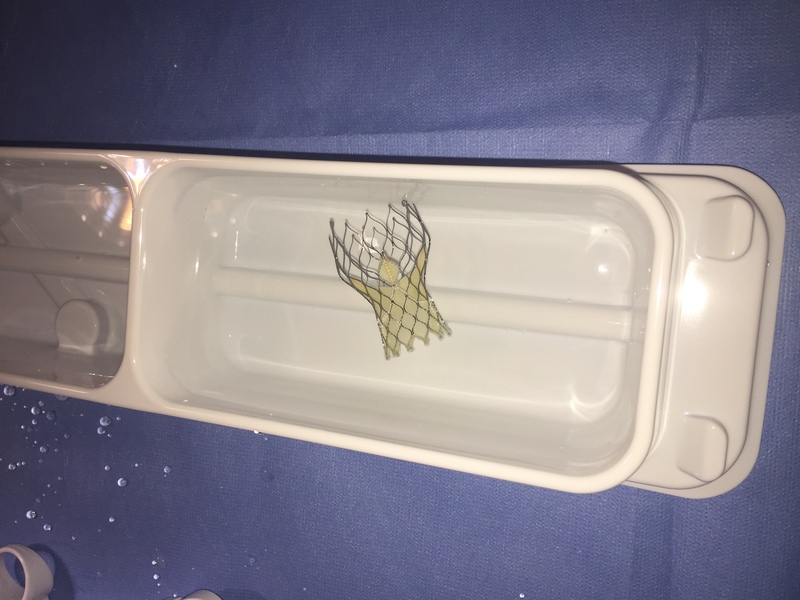 Before firm recommendation can be made, further studies will be required however the TAVR procedure will almost certainly be a strong influence in the decision to use a bioprosthetic valve in younger subsets of patients in the coming years. I just found out about a year ago, that my aortic valve is bicuspid with increasing stenosis from mild to moderate in that year. I am hooked up to very good cardiologist who will hook me up with the right surgeon as needed. I am 66 and have multiple comorbidities, ie., HTN, Type 2 diab, obesity. I have been researching on line at the best medical sources(I am RN) My card is great gives me a lot of info but after all I have read and heard THIS ARTICLE IS THE MOST COMPREHENSIVE I HAVE READ!! I feel so much more prepared for my next appointment in a couple weeks. I think the doc will want cardiac angiocath. My echos are not always great due to my thickness of soft tissue. Thank you so much for such complete info which is making my decisions from a more informed place!!!!! My husband is 55 years old and needs to have aortic valve replacement. After doing so much research on mechanical vs bioprosthetic, this helped make up our minds. I’m grateful for your website. Has your Husband had the surgery yet? I will be having mine soon and have not made this decision yet. Brent where are you located, what state? I was just curious. What is your age? What are some of your determining factors on which way you will go with your surgery? My husband who is 58 has just found out he will need a valve replacement ….he will have to do this soon. I am trying to read up on all of the info I can. I found this article (page) to be very helpful. A few years ago, at 60, I found out that I had a Bicuspid Aortic Valve, with considerable Stenosis, whilst undergoing a pre op for a Robotically Assisted Partial Nephrectomy. It was a pretty interesting period! The heart had to be treated before the kidney. Because of my age I was on the borderline for a mechanical valve, but there was concern that this could cause complications due to Warfrin during my Kidney op, and so I chose a bioprosthetic valve, in my case a Cows. Every now and then I wonder if I made the right choice – your article has convinced me I did. Not really possible to comment without knowing the full situation. I am 58 and have a tricuspid aortic valve with well compensated moderate aortic regurgitation 2-3/4 which is stable. I am asymtomatic. I have low normal systolic function – EJ of 50-55 (my EJ was 65 two years ago). My left ventricle is slightly enlarged -LVEDD of 155 mls (up from 132 mls last year); IVS d 0.9cm; LVPW d 1.0 cm; LVID d 5.6 cm. My left and right atria are slightly enlarged. My aortic root is mildly dilated 4.1 cm and stable for 3 years now. Other than moderate regurgitate murmur my clinical exam was normal: BP 130-80; lungs clear, carotid pulse volume on upstroke normal; pulse not collapsing. Based on these findings my cardiologist just wants to see me in a year. (1) no one can give me definitive advice on why my EF has been reduced. He said it is still in the normal range so don’t worry. Can you think of any other reason for the drop. (2) Is there the possibility I might not need a new or repair of the aortic valve? (3) my original diagnosis 30 years ago was a bicuspid aortic valve which has recently been changed to a tricuspid valve with prolapse of the right coronary cusp. Given the very slow deterioration of valve function is this clinically significant? 1) Im not sure without seeing the scans from prior, its important to ensure the same method and a quantitative one at that is used each time, or consideration of MRI with volume analysis. 3) Its either always been bicuspid or tricuspid, it is significant with regards to the potential for aortic dilation and timing of intervention. Thank you. My 28 year old son has a damaged aortic valve due to a blood infection. We are weighing the two options. First surgeon is gung ho on mechanical. He downplayed the effects of coumadin. Getting a second opinion shortly. Dr. Ahmad, I am at present in a difficult position to make a decision on my son, who was born with a bicuspid valve. He is 40 and recent cardiograms in India show reduced LVEF of 45 to 50% (varying per each echo cardio). Each surgeon here is recommending an open surgery. My son does not like the idea of the tick tick with the mechanical valve. We have no insurance for him in US. Yet my thought would be to have the surgery done in US. I would appreciate your thoughts doctor and an approximate idea of the total cost with no insurance. If you e-mail back I could send the reports by e-mail and or WhatsApp. Many thanks.